The picture below is not quite exhaustive, but a few dozen map points is an interesting start. Most on this map are private or institutional (university or college) schools. Some schools with multiple locations—such as the various school board adult ESL and LINC programs—have been omitted in this version, but will gradually be added. Please comment below with location details if your school is missing. N.B. please allow 15-20 seconds for locations to load before zooming in. Pat was born and grew up in Toronto, the most multilingual city on Earth. He speaks one language well (English), two languages passably (French, Italian), three languages badly (German, Spanish, Russian), and six languages hardly at all (Latin, Ancient Greek, Arabic; Mandarin, Japanese, Portuguese). 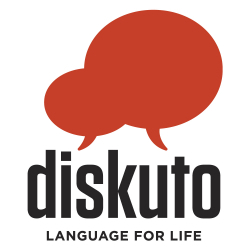 He is the founder of Diskuto and editor of torontolanguages.com.